The feel of wet soil beneath the knees of the winter-weary gardener as she plants spring peas. The sound of the Carolina fight song echoing down Main Street. The smell of meat crackling in Crisco on the stove top. The taste of tea so sweet it curls your tongue. The sight of deer on the side of the road or the sun going down on the statehouse dome. All these things and more ground us in what it means to be from the South Carolina Midlands. 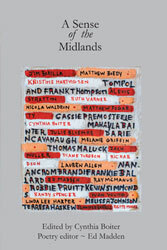 Writer and editor Cynthia Boiter asked more than thirty Midlands-area writers to share how the fidelity of place resonates from their own senses and into their writing in this collection of poetry, essays, and short fiction, A Sense of the Midlands. Cynthia Boiter is a six time winner of the SC Fiction Project, a two time winner of the Piccolo Fiction Open, and the SC Academy of Authors fellowship, and winner of the Porter Fleming Award for fiction. Her non-fiction work has appeared in national publications ranging from Woman’s Day and Family Circle to Southern Living. 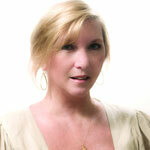 She is the author of Buttered Biscuits – Short Stories from the South (Muddy Ford Press, 2012), the editor and a contributor to The Limelight, volume 1 (Muddy Ford Press, 2013), a contributor to State of the Heart (USC Press, 2013), a contributor to Inheritance, (Hub City Press, 2001), and the founder and editor-in-chief of Jasper Magazine–The Word on Columbia Arts. An associate professor of English at the University of South Carolina, Ed Madden is the author of two books of poetry, Signals and Prodigal: Variations. His poems have appeared in many journals, as well as in Best New Poets 2007 and the Notre Dame anthology The Book of Irish American Poetry from the 18th Century to the Present.